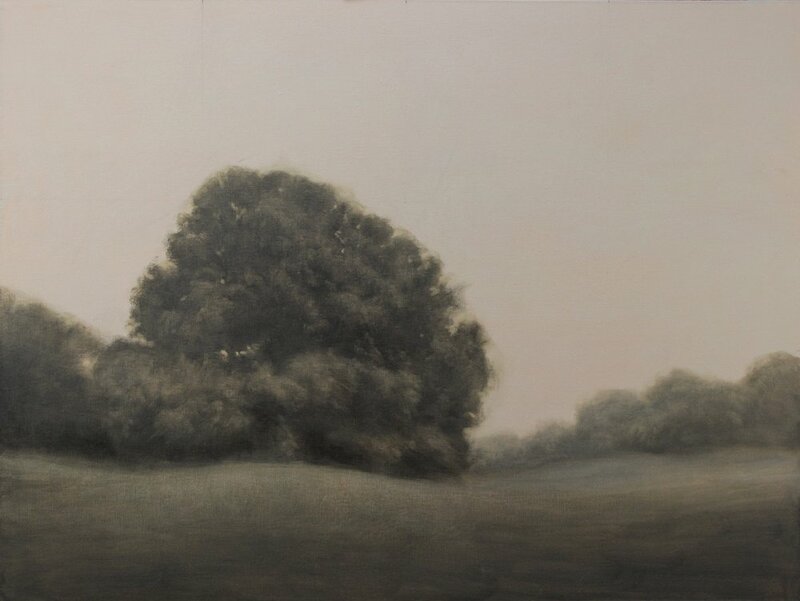 I'm pleased to announce that my painting of Prospect Park entitled "Overcast" will be included in Blue Mountain Gallery's Summer Exhibition juried by John Yau. The show runs from July 10 through July 28. There will be an opening reception on Thursday, July 12th from 5 to 8pm. The Blue Mountain Gallery is at 530 West 25th Street 4th floor in New York City. This August several of my paintings of Ireland will be on view at the Art Center of the Benjamin Rosenthal Library at Queens College. The exhibition "Dúchas: The Drive Within" is being presented by the Queens College Irish Studies Program. This show will run from July 30 through September 7. I'll have more details in a few weeks. This January I was blessed to spend a weekend at the Saltonstall Foundation, a retreat for artists and writers near Ithaca, NY. Ordinarily I would never think of allowing myself the time and space for a nurturing experience like that but my wife and another writer were already planning to go and she didn't feel comfortable driving on icy upstate roads. I'd grown up in Central New York and was accustomed to driving in winter conditions. I was there to be useful but as long as I was there I thought I might as well do something to advance my artistic practice. Lately I've been meaning to do the kind of exercises art students have done for centuries but that I'd skipped over. Granted these traditional methods weren't being taught at most art schools in the 80's when I was at the Pratt Institute, but I'd more recently had exposure to them while studying with artist and teacher Andy Reiss in Brooklyn. Every time I do one of these I notice an improvement in my abilities. Nevertheless, I find it difficult to makle the time to do them. One of the most basic of these is the careful rendering of light on simple forms in order to learn how to convincingly convey a sense of volume and space. I brought along a set of geometric solids; sphere, cube, cone and cylinder and I spent about ten hours over the course of two days drawing that one set up. The resulting drawing may not be a masterpiece but I found when I got back to my usual painting practice I had much more confidence and was more willing to use my imagination instead of rigidly copying what was in front of me. Towards the end of my first day at Saltonstall I took a long walk in the woods. It was beautifully quiet and serene. I would have loved to paint it but not having my easel I had to be content to just experience the moment. Upon returning to Brooklyn, I thought I'd try painting the scene from memory. Up to this point I hadn't had enough confidence in my abilities work without some reference material. I wanted to get beyond this dependency in the hope of creating something more artistic than just copying nature. I think the result was pretty successful but more importantly I think it represents a significant breakthrough on my artistic journey. Continuing on the idea of remedial art studies, I've started making regular trips to the Metropolitan Museum of Art to copy master paintings. This is another time honored tool for those wishing to improve their skills. I'd made cursory sketches before but now I'm trying to be more thorough. In doing this I find I'm getting a better understanding of value relationships and composition. For now I'm doing pencil sketches. The Met has strict rules for copying in oils and my next opportunity to do that would be in the fall. My time in the studio has also been productive and I think the lessons I've learned are having an effect on my larger paintings. 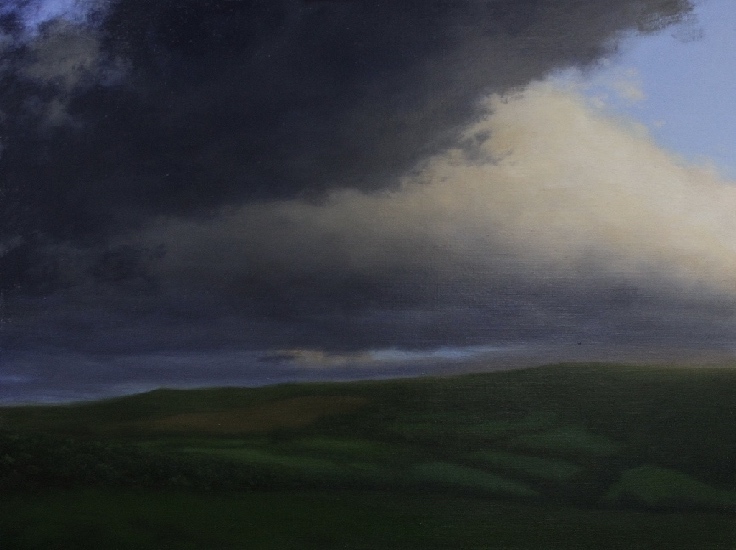 Pictured above are a 30 x 40 painting of a view from Knocknagorna in County Limerick, Ireland that I started last year and finished only recently. Below that is a 36 x 48 monochrome painting of Prospect Park. The lessons I'm trying to employ here are to keep the overall composition simple and the tones within the larger shapes close together so the eye isn't bounced around by too many abrupt changes. This has been a very productive year so far. I've done a lot of painting outdoors in Brooklyn as well as Maine and New Hampshire. 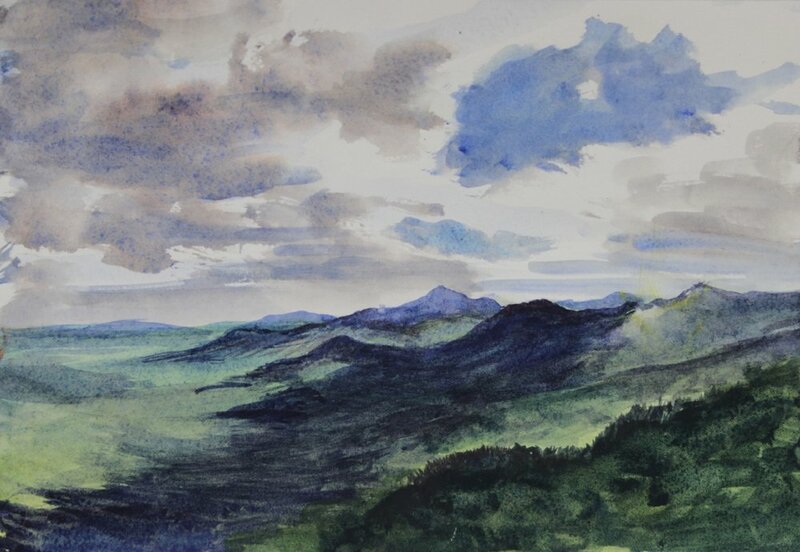 Above are examples of plein air sketches done in the White Mountains this August and the beginning stages of larger oil paintings in progress in the studio. I'm extending an invitation to come and see these works in progress and everything else that's been going on. The studio is at 283 47th Street at the corner of 3rd Avenue in Sunset Park Brooklyn. I'll be there from noon until 6:00 on Saturday, September 30th and Sunday October 1st. The studio is on the second floor above a pharmacy. Call when you arrive to be let in. The phone number is 347 348-1823. To get there by public transportation, take the R train to 45th Street. The Styles section of the Sunday New York Times from September 3rd features a photograph of me painting in Prospect Park, Brooklyn! Below is an image of the painting I was working on at the time.